What's the Cause Of Low-Back Pain? At any given time, about 25% of people report having low back pain within the past 3 months. In most cases, low back pain is mild and disappears on its own. For some people, back pain can return or hang on, leading to a decrease in quality of life or even to disability. In terms of low-back pain, sciatica is a regular complaint our chiropractors see in our patients. Sciatica is a set of symptoms that can be caused by irritation or compression to one of the lumbar spinal nerve roots that make up the sciatic nerve. Sciatic pain is typically felt in the lower back, buttocks and/or varying parts of the leg and foot, in addition to pain, numbness, pins and needles, tingling, muscular weakness may also be felt or noted in the lower extremities. A diagnosis of sciatica does not give an indication of what is irritating the nerve root it is just an set of symptoms that suggest the nerve root is being irritated. Our chiropractors see patients complaining of sciatica symptoms regularly because prolonged poor sitting posture a common problem with a lot of office workers. The most frequent cause of sciatica symptoms are due to the result of the impact prolonged stress has on a number of structures with in the lower back, including the increased pressure poor sitting postures place on the lumbar discs. Our chiropractors are very experienced and trained at getting to the root cause of your sciatica. 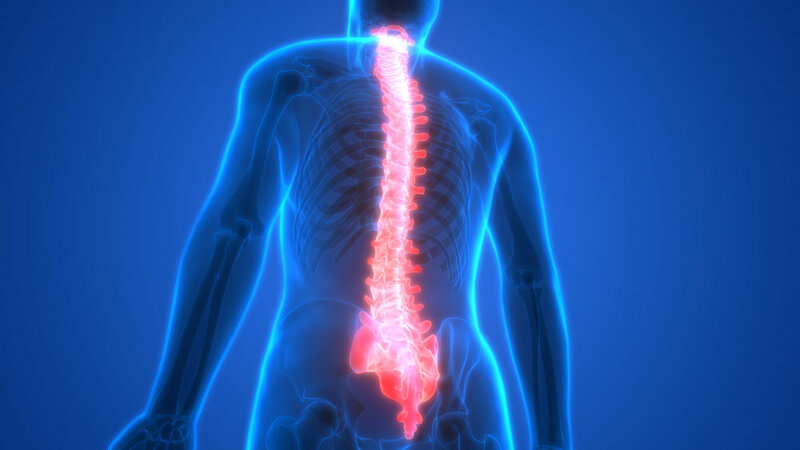 Our chiropractors will commonly see a variety of other low back pain conditions, including lumbar strain, degenerative disc disease, lumbar stenosis, osteoarthritis, sacroiliitis, spondylolisthesis, and lumbar instability. Stretching of the joints, muscles, and nerves are very important to ensure that there are no imbalances throughout the musculoskeletal system. Decreased flexibility in any of these areas may lead to lower back pain. To be clear, not all of these stretches we mention may be appropriate for everyone. A stretch should not induce painful symptoms. These stretches should feel relieving to the lower back and should never induce painful symptoms. Start off slowly with a very gentle stretch and stop if you have any increase in lower back pain or sciatic pain down your leg.With that being said, here are the 3 stretches we recommend starting with. This stretch is important because it incorporates both flexion and extension.On your hands and knees, let your stomach move downwards, which increases extension through your spine. Then, arch your back upwards, bringing your spine away from the floor. This will increase flexion through your spine. You may hold each position for 5-20 seconds and repeat several times. Start by lying on your back with both knees bent. Bring one knee up towards your chest. Perform 2-3 repetitions, holding each one for 15-30 seconds. Then switch legs to stretch both sides of your back. While you perform this stretch, you may feel a stretch along the lower back or buttocks area. This stretch can also be perform this with both legs up towards your chest if it is comfortable. This stretch is important for the lower back muscles along your spine. On your hands and knees, sit back so your buttocks is resting on your heels. Reach your hands forward to lengthen your spine and feel a stretch in your middle back. You can reach your hands to either side to focus the stretch on the opposite side of your spine. Hold for 10-30 seconds and perform 2-3 repetitions. Maintain a regular physical fitness regimen. Having the right combination of strength and flexibility around your spine is vital for a well functioning low back and the long term health of your spine. Our chiropractors at Spinal Care Australia are a qualified and experienced team that is ready to help you achieve the right combination of strength and flexibility for your spine to help eliminate your low back pain. Looking for more advice, a definitive diagnosis, or a recovery plan from a spinal care professional? Then click the button below to get a special introductory offer to Spinal Care Australia. Get a chiropractic consultation, examination and adjustment for only $19! Claim your voucher now, and we look forward to seeing you soon and helping to relieve your pain.